For the past 20 years, Mosquito has been instrumental in creating interactive digital tools that showcase native works of art and décor, offering visitors an insight into the evolving eras through clever use of projection technology. Mapping installation blends both images seamlessly together. A 32" touch pad invites visitors to project the Museums evolving designs. Задача: To create an interactive platform for visitors to simulate the museum’s native works of art and décor and realize their designs through a dedicated projection room. Решение: Mosquito chose to use Optoma EH505 projectors with short throw lens, providing the best solution in terms of projection ratio and for its Full HD image quality. 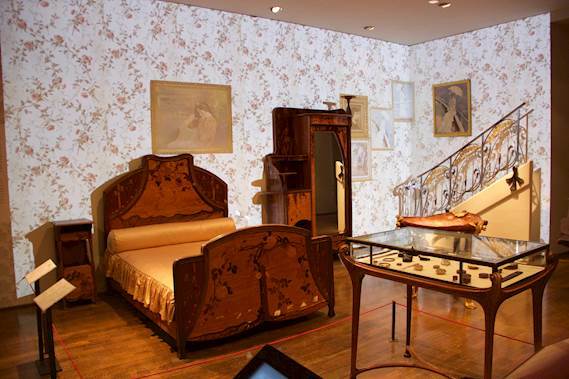 Результаты: The Louis Majorelle - Art Nouveau room at the Musée des Arts Décoratifs was transformed into an interactive décor platform where visitors are invited to design the entire room as they wish, selecting wall coverings from a touch-sensitive table projecting their chosen décor in real-time. Visitors are more invested in their visit and can appreciate and discover the extent of the Museum's wallpaper and interior décor collection. Mosquito, a digital creator for museums, envisaged this immersive tool and content during the third event of the museum. 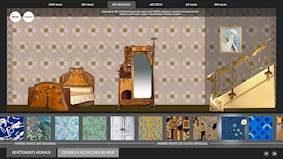 The idea was to ‘disrupt’ the notion of a period room - a concept of restitution or reconstitution of interior decoration, illustrating a given period by interactivity with the visitor, enabling them to discover the collection of wallpapers kept in Museum of Decorative Arts. Mosquito chose the ProScene EH505 projectors for this unique installation. Delivering stunning image quality with bright 5000 lumens, this model proved simple to install and featured a short throw perfect for this demanding type of application. Full HD ensured the visual content was crisp and vibrant. The filter-free, dustproof design meant that maintenance costs would be drastically reduced, making this projector a reliable choice. 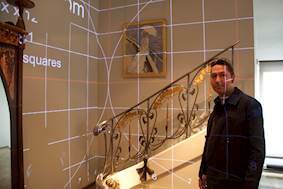 The room measured 40 square metres and the projection would have to fill the whole space. The total image measured 877 x 346cm, with the two projectors EH505 respectively at 6 and 6.5m. Mapping was an intrinsic part of the outcome (with image distortion and edge blending) covering two walls. 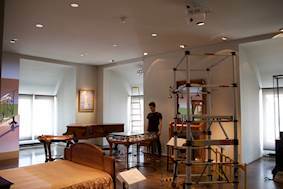 Masking was required for the fixed furniture on display which served as the decor base for the room. Using a 32 inch touch screen, visitors recreate the setting, chronologically projecting their vision onto the walls of the room and adding their tastes to the test of collections. Selecting wall coverings and artwork to hang on the wall, they can move and resize the walls and furniture as they wish using the touchscreen. The installation cleverly allows visitors to personalise and customise the décor, sharing the vast collection of the museum’s ornaments, textiles and wallpaper without needing to create a dedicated room to exhibit each of these exquisite pieces.